"Fast-paced and somewhat alienating times and lifestyle have caused our relationship with food to deteriorate and develop into unhealthy habits. 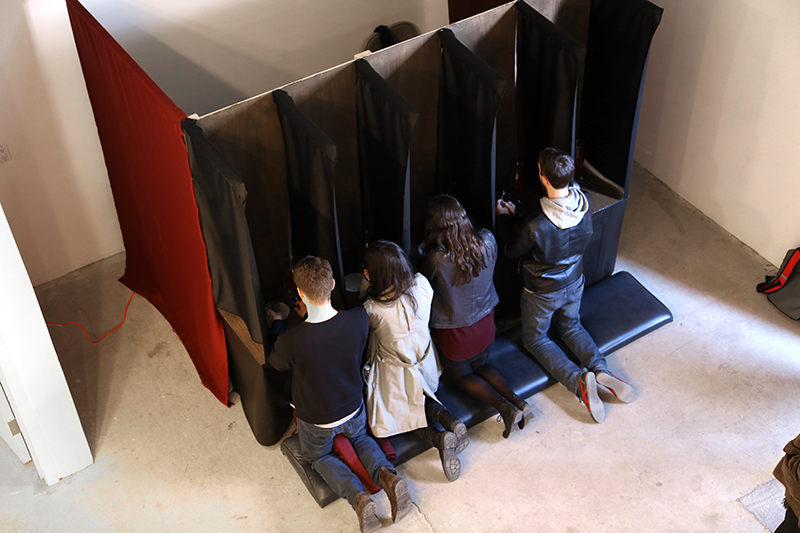 A tongue in cheek design for RU’s church setting, Silva’s confessional titled “A Bar for America,” asks the participants to kneel at the confessionary stand – a posture of reverence and respect – and offers them to choose food from a menu which intends to put on the table our current food industry issues and expose the participants to the reality of flawed eating choices. 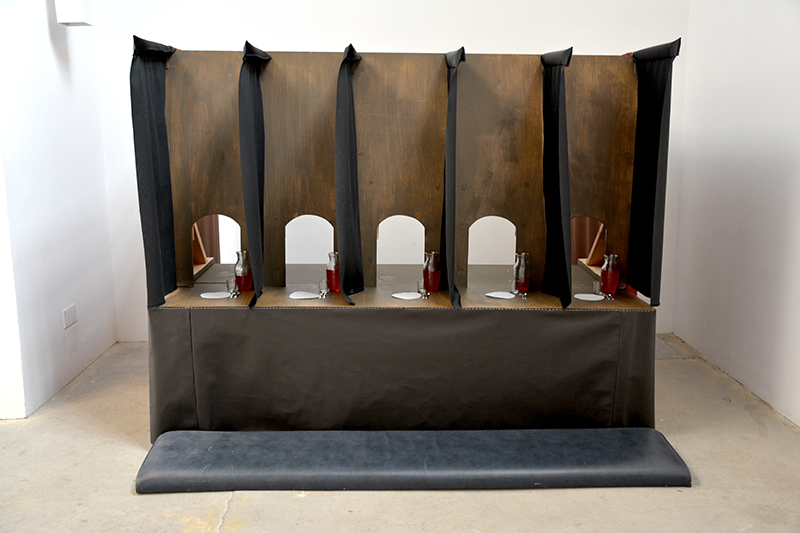 At the same time, this act reestablishes a respectful and appreciative relationship to food through the ritualistic process at the confessionary stand; taking the time and devoting the space and attention to the nourishing ritual."